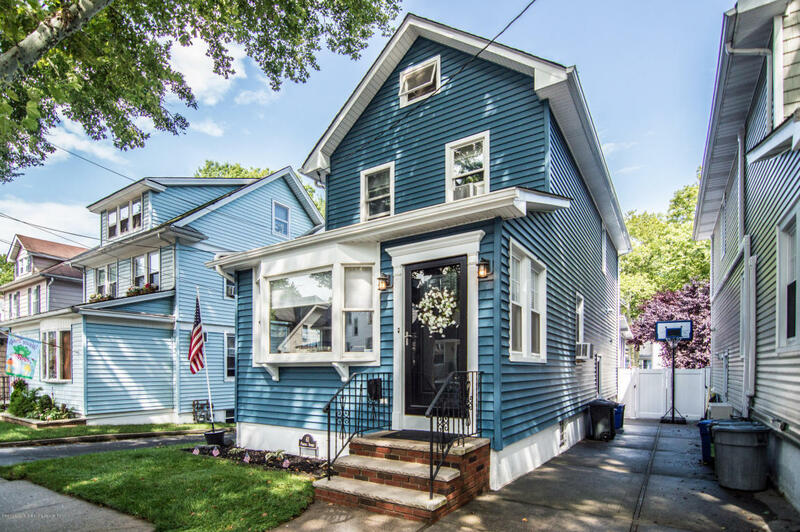 THIS IS A BEAUTIFUL UPDATED HOME ON A GORGEOUS TREE LINE STREET. THIS HOME HAS A NEW TIMBERLINE ROOF, 2 YEAR OLD SIDING, 4 NEW WINDOWS, 2'' PINK BOARD INSULATION. UPDATED ELECTRIC ALL THROUGH OUT. KITCHEN IS 4 YEARS OLD, BATHROOM WAS RECENTLY UPDATED, HARDWOOD FLOORS, NEW STORM DRAINS FRONT AND REAR, FINISHED BASEMENT. APPLIANCES ARE 4 YEARS OLD, PICKET FENCE, ALL NEW LIGHTING OUTSIDE, WALK UP ATTIC. A SHORT WALK TO BEAUTIFUL CLOVE LAKES PARK AND THE ZOO. COMMUTERS DELIGHT WITH EASY ACCESS TO TRANSPORTATION TO THE CITY. TIME TO JUST MOVE IN AND ENJOY HOME.